The South African government has commenced with a process of handing out mining permits to informal and illegal miners. Nicolaas Steenkamp asks what the implications are. In June 2018, the Deputy Minister of Mineral Resources, Godfrey Oliphant, handed over mining permits to illegal miners in Kimberly. A large number of informal and illegal miners operate in South Africa and they welcomed the issuing of permits. However, it has raised some questions regarding the small-scale mining sector operating legally in South Africa. 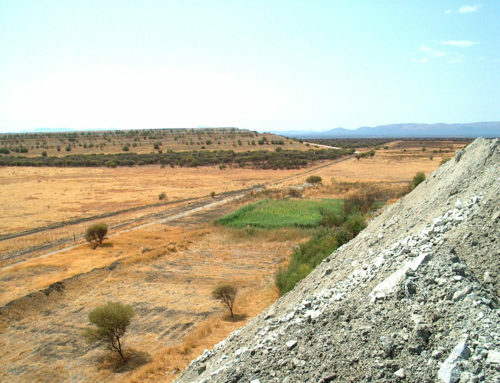 Old exposed stopes in the Witwatersrand Basin were quickly targeted by illegal miners, or zama-zamas. This exposed site is close to Roodepoort, west of Johannesburg. 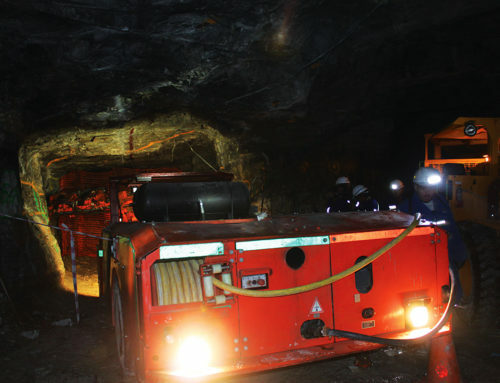 The government’s diamond mining pilot project allows the newly licensed informal miners access to 500 hectares of land owned by Kimberley Ekapa Mining, a joint venture between Petra Diamonds and Ekapa Mining. 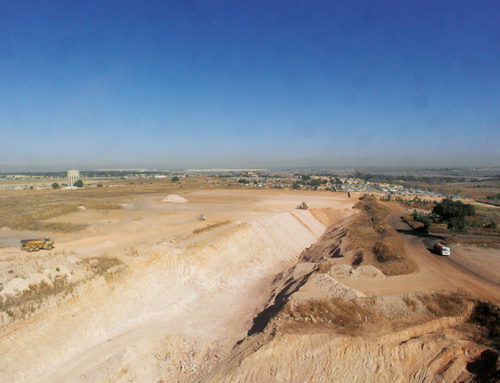 The pilot project is a tailings mining resource — a mine dump that can be reprocessed. 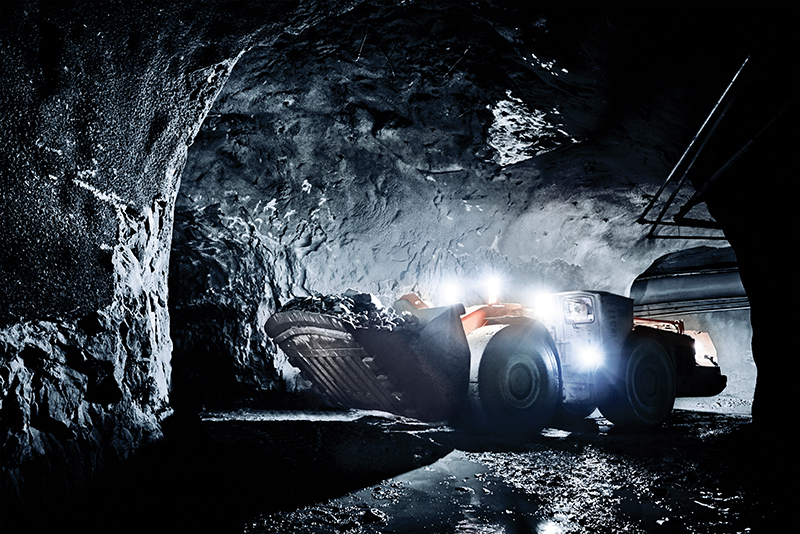 The small-scale miners also pan for precious minerals around the edge of established mining operations. Informal and illegal mining activities have been going on for the past 16 years and have resulted in several clashes between the mine security, police, and illegal miners. 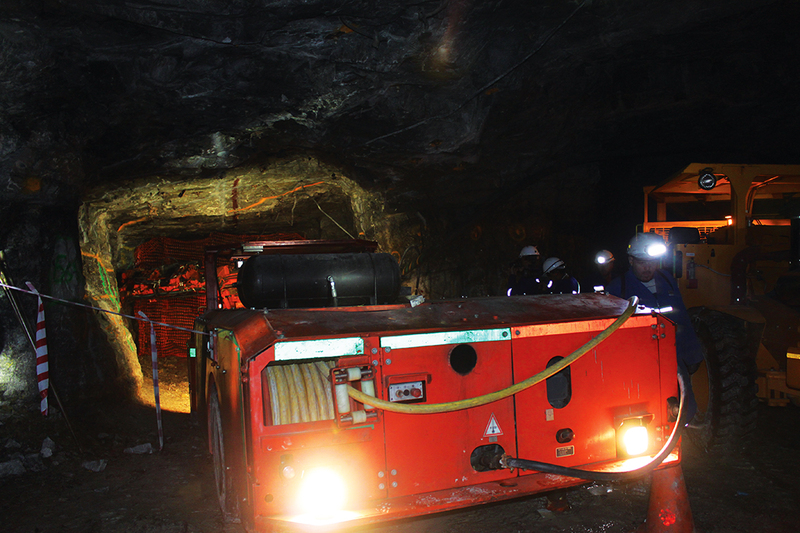 The informal miners can make discoveries worth as much as R20-million a month, although weeks go by without major discoveries. According to the International Labour Organisation, up to 20% of the world’s diamonds are dug up by informal miners. At the ceremony, Oliphant said: “The most effective way of combatting illegal mining, is legalising it. 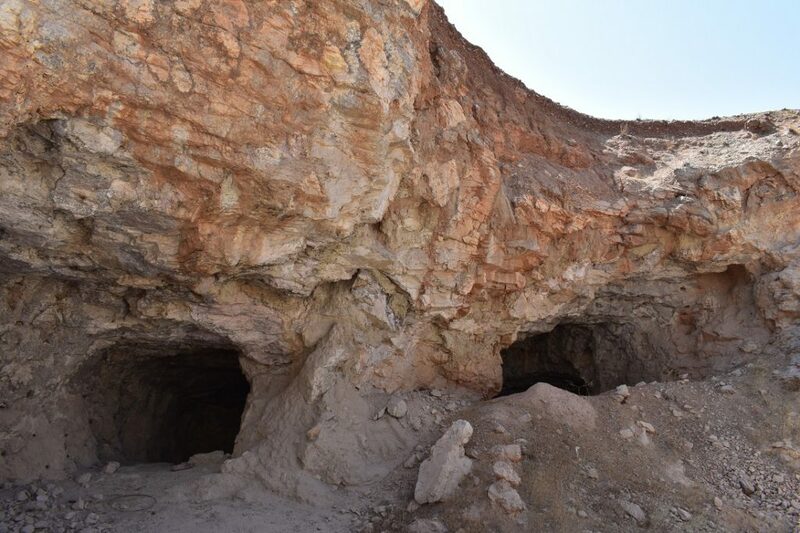 Once you formalise it, it solves many problems.” He stressed that the department would not grant permits to underground illegal miners who damage the structures of old shafts and compromise safety. Oliphant estimates that illegal mining in the gold sector alone costs companies over R70-billion a year. 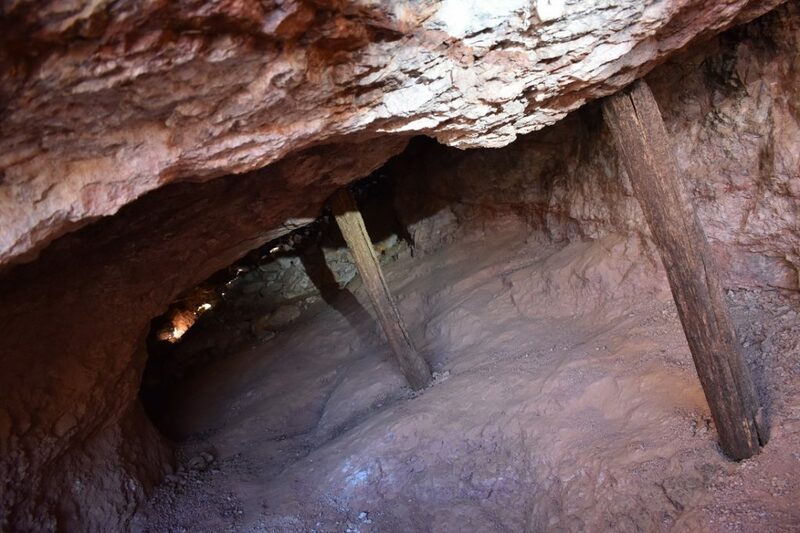 Regardless, the Department of Mineral Resources (DMR) has issued mining permits to informal miners to extract gold from abandoned mine dumps in Gauteng. 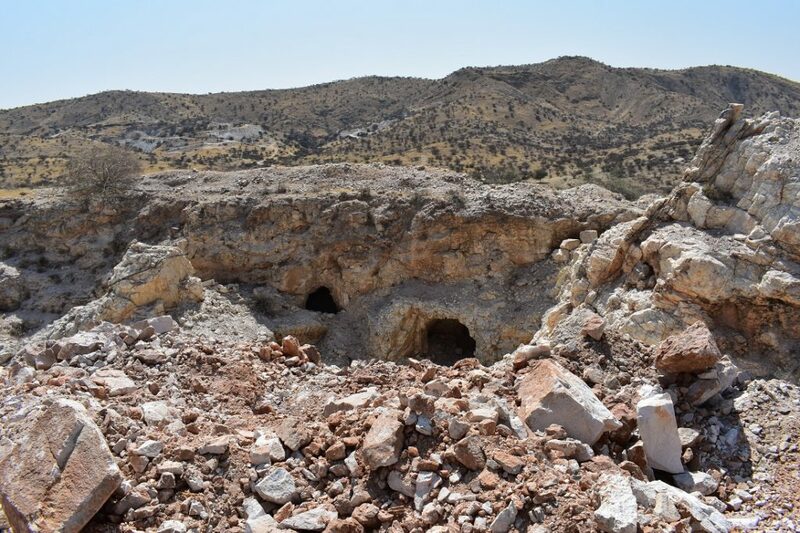 The Northern Cape Artisanal Miners’ Association (NCAMA) has worked to formalise and regulate the activities of the informal miners in the region. Members are given an identification document in exchange for a membership fee of R100, and the organisation aims to provide pensions and basic health care to members. It also ensures that the informal miners are able to pay taxes to the South African government from their earnings. The plight of informal diamond miners along the West Coast has made news headlines throughout 2018. Most of these informal miners still operate under the cover of night or out of sight from the mine security and police patrols. 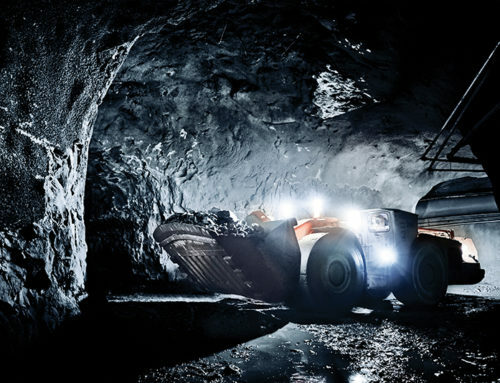 Most informal miners operate in shallow surface excavations, but some dig tunnels that inevitably result in cave-ins, collapses, and ultimately, fatalities. These incidents have thwarted attempts of this community to also obtain mining permits from the DMR. The initiative to hand out mining permits to illegal and informal miners, also known as zama-zamas, started in 2016, after several miners died, trapped in an abandoned gold mine in Langlaagte, Johannesburg. The then Mining Minister Mosebenzi Zwane vowed to begin the process of giving illegal gold miners permits as a means to formalise that trade. Mining analyst Peter Major was sceptical, however, about the move to legalise zama-zamas, saying that a more comprehensive policy of dealing with the causes of the illegal mining challenge is needed. Illegal gold mining is the largest revenue loser for South Africa and involves the most people. Illegal chrome mining comes second and definitely has large professional syndicates involved, with illegal diamond mining a distant third, Major said. It is estimated that at least one million tons per annum (tpa) of chrome is illegally mined and sold. Good quality chrome ore is worth USD150 to USD200 per ton. So that is USD150-million to USD200-million annually. It is estimated that at least 10% of South Africa’s annual gold production is lost through illegal mining or theft from operating mines. Just 10% of 155tpa production is 15tpa. Gold is USD1 300 per ounce (oz), which is USD42-million per ton. Here the 15 tons equals USD630-million. South Africa’s official diamond production is about eight million carats per annum at an average of USD120 per carat, equalling USD1-billion. Even if illegal mining is 10% the size of official production, that would be at least USD100-million per annum. Signs of Illegal miners are found throughout Africa. In picture is an illegal operation outside Karibib in Namibia. 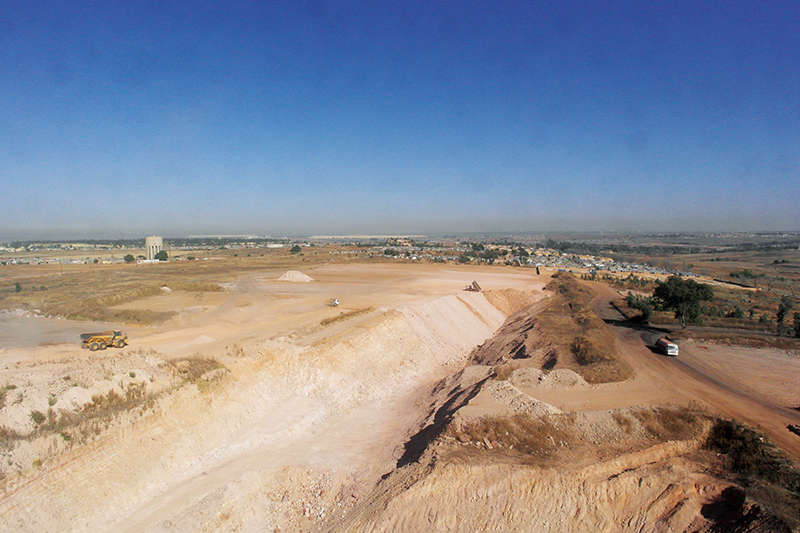 The DMR has adopted a three-pronged approach in dealing with illegal mining practices. Firstly, it aims to promote legitimate mining practices through the authorisation of mining permits. Secondly, the DMR is attending to the rehabilitation of derelict mines, particularly in the sealing of mine entrances and shafts to prevent illicit access. Lastly, the department is working closely with law enforcement agencies to reduce incentives to become involved in illegal mining. Estimates are that more than 30 000 illegal miners operate in South Africa. Speaking at the Sustainability Week 2018 seminar in Pretoria recently, mining analyst David van Wyk looked at the social and economic contribution of informal mining. Assuming a dependency ratio of 1:8, it implies that 250 000 people are indirectly affected by the artisanal mining sector. Van Wyk suggested that South Africa needs to consider the transition from large-scale industrial mining to small-scale mining that is orderly, sensible, and safe.” To achieve this, he suggests organising artisanal miners into legal business entities, such as cooperatives, and providing them with the required training. In addition, he suggests it is beneficial to cluster these operations geographically into units of 5–10 operations and assign an engineer and a health and safety officer to each cluster. He further suggests creating a central buying agency that will legally buy from these miners and offer them market-related prices. To get a mining permit from the DMR in terms of the Mineral and Petroleum Resources Development Act (MPRDA), small-scale miners must comply with government requirements. This includes providing environmental assessments and feasibility studies on the land they want to mine. The mining permits are non-transferable and are usually registered in the name of a person or a company. The formal process for gaining these mining permits is expensive and onerous. 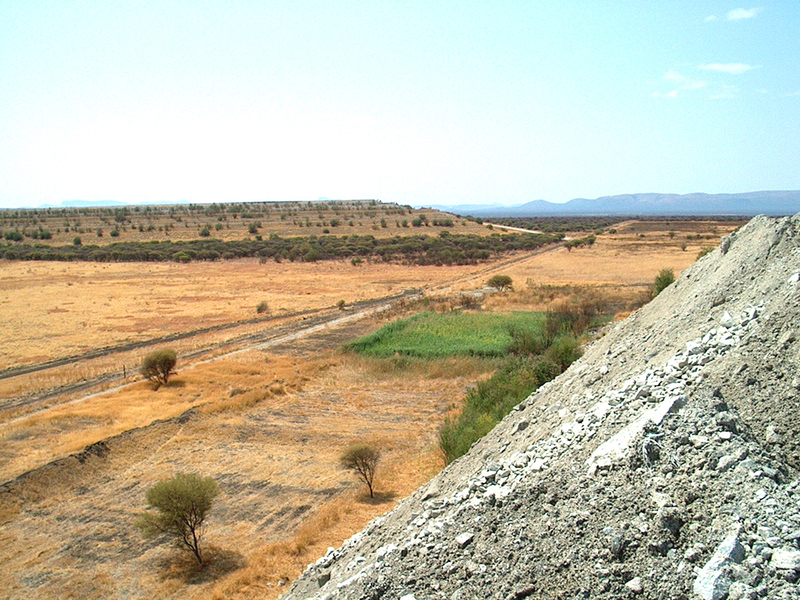 Mining permits are only issued if the mineral in question can be optimally mined within a two-year period and if it does not exceed five hectares in extent. It may however be renewed for three more periods of no more than a year each. The applicant for the mining permit also needs to apply for environmental authorisation and engage in a consultation process with the land owner or legal occupier that holds the surface rights. There also needs to be a public participation process with all interested and affected parties. The mining permit holder is also only allowed to extend the mining right to residue dumps that were produced by sole virtue of the existing mining permit. 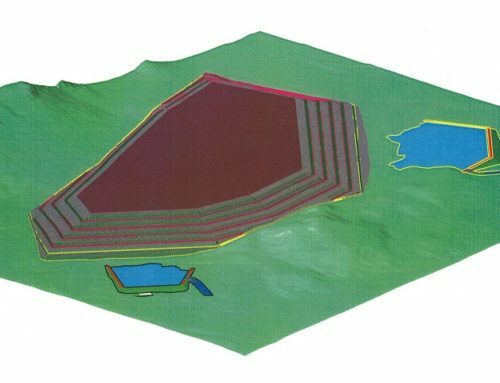 The mining permit holder is also obligated under the MPRDA to remain responsible for environmental liability, pollution, ecological degradation, pumping and processing of extraneous water, compliance of the environmental authorisation, and management and sustainable closure thereof until a closure certificate is issued. The action of handing out mining permits to informal and illegal miners raises several questions in the small-scale mining sector. It would appear that these miners did not have to meet any of the usual requirements set for the application for a mining permit. This includes the drawn-out public and land ownership public consultation and participation process, environmental authorisation, and conducting feasibility studies. Will these requirements now be waivered for the small-scale mining sector? Other unanswered questions relate to the enforcement of tax and royalty payments, as well as the responsibility of the rehabilitation of these sites. Illegal miners follow deposits wherever they occur, even if the sites are extremely remote.